This process is not about telling the future, but rather about receiving clarity and guidance in the present moment. DIVINE GUIDANCE CARD READINGS: This is a form of Life-Soul Coaching that can help you better understand an area of your life that you have questions about. Each of us is on our own unique Spiritual journey and sometimes our path becomes a little more crooked than we would like and we begin to question if we are on the right track. 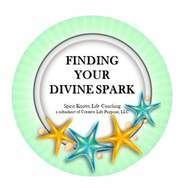 By asking a clear, very concise question, the Divinity cards can help bring clarity for you. When you purchase a card reading, what I will need from you is a clear and concise question that you are seeking answers about. You can email that question to me, or send it via the "Contact Page". What I will do in return is the reading using a Three-Card Spread. The cards will not predict future events, but can offer guidance helpful in providing stepping stones that may be useful to help you to move forward on your life path. Select the "BUY NOW" button to make your purchase.